Let’s start with an example from nature. 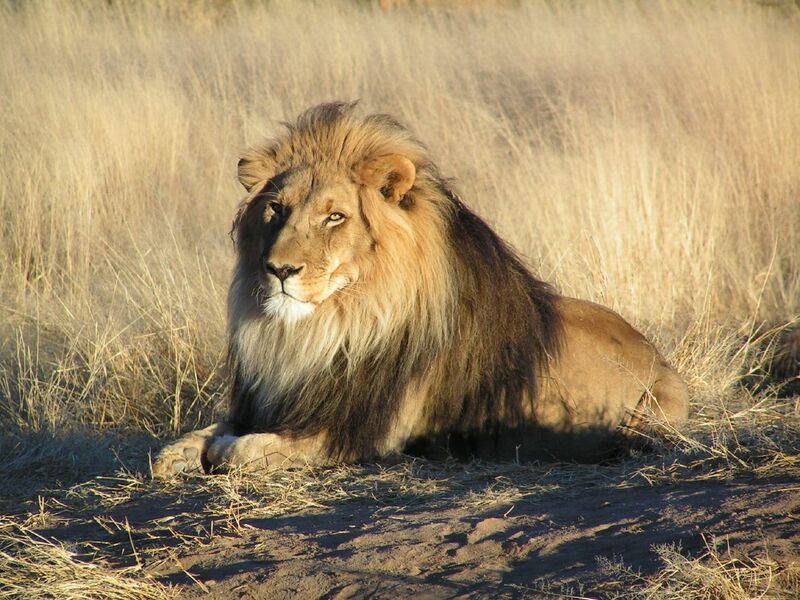 Why does a male lion kill all of the cubs he didn’t sire when he becomes head of a pride? There is quite clearly a biological, genetic reason at play here because we know that lions are almost completely instinctual; i.e. they aren’t self-aware or capable of abstract thought. In the past, all the lions whose genes gave them the instinct to kill the cubs of other males bred more than the lions whose genes were more compassionate (figuratively speaking, of course). Given enough time, the inevitable result is that all male lions will have those ‘killer’ genes. This is natural selection 101. The reason our lion kills all the cubs is an A-type reason; it explains the lion’s behaviour by appeal to past events. It’s just a mindless, goal-less, physical process playing out. So, in effect, what I have called ‘A-type reasons’ is actually nothing more than a synonym for cause and effect. When someone gives A-type reasons for an event, they are simply detailing the prior causes/states which led to that event (or which always lead to it, as in the case of why the sky is blue). Let’s move on to fully conscious agents. Imagine your brother was drowning and you jumped into the river to save him. What is the reason at play here? If anyone asks you, will you say it’s because you wanted to maximise the chances that our family’s genes would get into the next generation? Of course not. You’ll say it’s because you love him and want the best for him. You’ll say that you know that you want to live a long, happy life and from this you infer that he does too. In short, you’ll give B-type reasons. Some people, however, will tell you this isn’t the real reason. Evolutionary biology is crystal clear on this point. You are no different from the lion. You are a bundle of genes, programmed, hard-wired, to help your kin, even at some risk to yourself. The reason you saved him was A-type all the way. Who’s right? Actually, I think they both are. We care more for our family members than we do for strangers. It would be foolish to argue there is no genetic component to this natural instinct (that’s why we call it ‘natural’). But this says nothing more than that those sapiens who had genes which inclined them to care for their immediate family members survived longer and had more offspring than their rival sapiens in the next valley over who lacked those genes. You inherited those genes, so there is certainly an A-type reason for you saving your brother. But you also gave B-type reasons for your behaviour and we can’t simply dismiss these as fabrications or meaningless static. This is where I am going to say something heretical for some people; human beings aren’t machines and it makes no sense to treat ourselves as if we were. Some people, who seem to have more of an affinity with chemicals, cells, or even atoms than human beings, will dispute this. It is undeniable that we are composed of the same particles that make up every other thing on the planet, they say, therefore we are no different from any other thing. Understanding human life is just an extension of physics or biology or chemistry, they say. If you know the state of every atom in an individual, you know everything there is to know about that individual. So they say. Unfortunately, that is all nonsense on stilts. Despite the similarities in composition, we most certainly are different from every other thing on the planet and knowing all of the physical statistics of a human being will tell you absolutely nothing meaningful about that person. If those statements seem controversial to you, you haven’t been paying attention, not to me, to your own conscious, human existence. Likewise, if you think that means I am advocating some immaterial spirit or soul or higher self, you are trapped in either/or thinking; either it’s all particles and we’re just sophisticated toasters or we have eternal, etheric souls and will live forever in a paradise when we die. Here’s the thing; humans don’t live at the level of atoms or genes, despite the fervent wishes of some of our more misanthropic luminaries. Instead we live on a higher level of meaning, goals, and B-type reasons. That is the only way human lives make sense and that is why B-type reasons are important. To argue anything else is to have missed the forest for the trees. Consider a painting. What is it? I look at it and see a horse running through the snow. My friend looks at it and confidently proclaims that I am mistaken, I am labouring under an illusion. In actual fact, it is millions of coloured dots on a canvas. There is no horse there. She even pulls out a microscope to prove it to me. How can I not see she is right? Of course, on one level, she is right. The painting is just a bunch of coloured dots. But that is precisely why it is almost impossible to persuade her of anything else. She can’t see past this to the fact that there is also a horse running through snow and the artistic interpretation of the painting is just as legitimate and valid as the scientific one. It’s exactly the same with B- and A-type reasons. Of course our genes influence our behaviour (and not just our genes but a million different variables from things as important as our upbringing and early childhood influences to those as seemingly insignificant as gut microbes and whether we got enough sleep the night before) but this doesn’t negate or minimise even in the slightest the conscious reasons we have for our actions. In the end, we don’t have anything else. So, when is a reason not a reason? When our scientists and materialists get hold of it and reduce it to a bunch of coloured dots on a canvas. You might not get many laughs with that joke but hopefully someone who hears it will think twice the next time they hear someone reduce the brain to a computer or human beings to upright apes. This entry was posted in philosophy, science and tagged evolution, philosophy, reality, science. Bookmark the permalink.